Ludacris, Akon, Big Boi and a host of hip hop stars handed out turkeys to flood affected families in Atlanta this week as a special Thanksgiving treat. Over 1000 Thanksgiving turkeys, greens, and sweet potatoes were handed out to metro Atlanta families who were impacted by the flooding in early October. In addition, The Ludacris Foundation, supported by Chef Ashley and Straits restaurant , prepared 40 cooked meals for Cobb County homeless and senior citizens. The Thanksgiving turkey giveaway is a part of the Foundation’s LudaCares Initiative. The LudaCares program provides families with nutritious food during the Thanksgiving holiday. 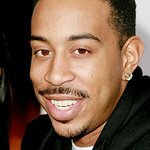 Each Thanksgiving the Ludacris Foundation chooses a different community to bring the program. Previous Atlanta area communities for LudaCares Thanksgiving include, Bankhead, College Park, DeKalb County, Hollywood Homes, Morrow GA, Gwinnett County, Marietta, Cobb County, Roswell, Southwest Atlanta, Fulton County, Jonesboro, Clayton County. “This holiday season our focus is on helping the families impacted by the Atlanta flood,” said Ludacris. "Last month when T.I. and I reached out to our friends in the hip-hop and entertainment community they did not hesitate when we called. We received over $80,000 in less than eight hours and raised over $110,000 to support flood survivors in the Atlanta area. As a result of these efforts we were able to provide over 1,000 coats to youth last week.